Continuing its losing streak against the US dollar for the seventh consecutive session, the Indian rupee on Thursday breached the 72 mark for the first time. Continuing its losing streak against the US dollar for the seventh consecutive session, the Indian rupee on Thursday breached the 72 mark for the first time. It has tanked more than 12 per cent on a year-to date basis, making it one of the worst-performing currencies in Asia. The domestic currency was quoted 37 paise lower at 72.12 against greenback in afternoon trade. The further fall in value of rupee comes amid global headwinds and concerns on macroeconomic front. Investors remained concerned over sustained foreign capital outflows and widening current account deficit in the wake of soaring crude oil prices. At the Interbank Foreign Exchange (Forex) market, the local currency opened higher at 71.67 a dollar against its previous record closing of 71.75, but failed to sustain initial strength and fell back to breach the 72-mark. The rupee's unabated fall continued for the sixth straight session Wednesday, hitting yet another closing low of 71.75, down 17 paise against the US currency. On Wednesday, the domestic unit plummeted to a historic low of 71.97 a dollar in intraday trade before finding some respite. Finance Minister Arun Jaitley Wednesday attributed the fall in rupee to global factors and stressed that the domestic unit was better off as compared to other currencies. Moreover, weakness in emerging currencies overseas against the dollar too weighed on the domestic currency, they added. Meanwhile, international Brent crude futures fell 27 cents, or 0.4 per cent, to USD 77 per barrel. A fall in crude prices is seen as positive for India, which imports most of its oil requirements, traders said. The BSE Sensex too entered the negative zone by falling 61.11 points, or 0.16 per cent, to 37,957.20 points in afternoon trade. The rupee hasn't crashed as much as Turkish Lira or Argentine Peso did versus the greenback. 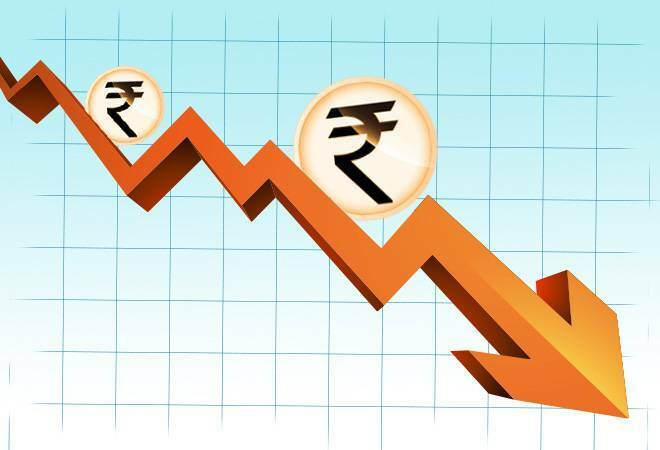 These currencies depreciated over 70 per cent so far this year, while rupee shed 12 per cent, and is comparable to the currencies of Indonesia, South Africa and Brazil.